Those Places Wednesday - Where Am I? 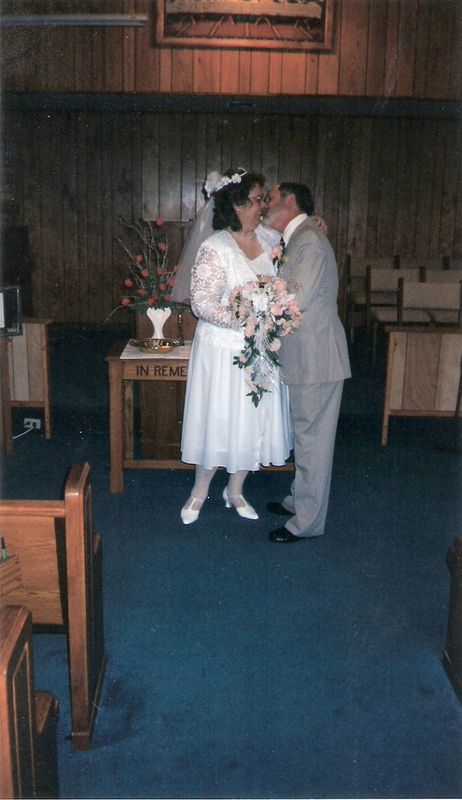 Wedding Wednesday - Who Is That Couple? 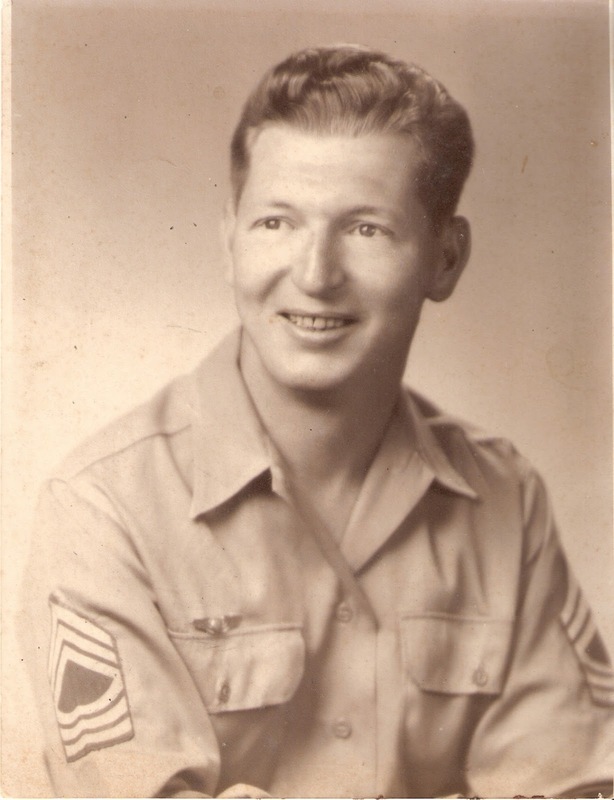 Wordless Wednesday - Henry Dreher, Sr. Madness Monday - "Aunt Nancy"
Click on the video below, and sit back and let's have church! Be sure to let it play all the way. There are 17 hymns here. Enjoy! There was a time, in the past, when we didn't have plastic grocery bags, with nice cut away holes to make handles, and ease of carrying. Before that, we had the ever popular paper sack. Which you didn't dare keep, because they might have roach eggs in them! (My Mom's biggest fear!) Although when I first started keeping house, I kept them to line my garbage cans with. And prior to the paper sack, there was the ever popular gunny sack , or burlap bag. While I don't remember using them to carry home groceries, I know many people who do! I have purchased stone ground cornmeal in them. And feed for farm animals. As well as potatoes. When I was in the second grade (I have a photo of it somewhere), my Mom made me a costume for a school play out of burlap sacks. (I played an American Indian woman.) The effect was quite good actually! While I am grateful for the ease of carrying groceries home today, I try to use a non-recyclable bag instead of plastic. One that I can use over and over again for long periods of time. Usually made out of loosely woven material. They are cheap (some as low as only 50-cents), and don't harm animals or the environment. The burlap bags would be welcomed today, if made into a handled bags! 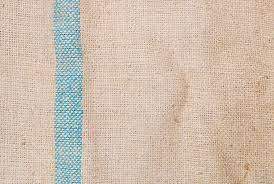 Who is with me in starting a trend of burlap shopping bags? Okay folks, here is the recipe that I have been promising to put up for some time now. It has been requested several times, because of it's versatility. When my grandmother, "Granny", made dessert, this is the cake she usually made (this or her candied orange cake). This was by far her most popular. And everyone makes it out to be a big deal, when in reality, it's probably one of the easiest there is! And EVERYONE loves it! 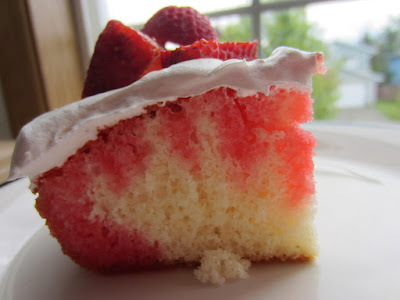 You simply need a white cake mix, a large (makes 4 cups) box of jello mix in the flavor you want to make the cake (in this instance strawberry), a tub of Cool Whip, and a carton of strawberries (you can slice them, or leave them whole). Bake the cake according to directions, and allow it to cool in the pan. Next empty the jello mix into a medium bowl, and add 2 cups of boiling water. Stir until well dissolved. Next, take the handle of a wooden cooking spoon, and poke holes all over the top of the cake, about 3/4 of the way deep into the cake. Now pour the jello mixture all over the top of the cake. It will fill up the holes you have made. Place the cake pan in the refrigerator and allow the jello to set up. Once it is cold, and the jello firm, you are to ice the cake with the Cool Whip. Use as much or as little as you like (I usually make the cake in a 13"x9" cake pan, and use a large tub of Cool Whip.) Then decorate the top with the strawberries. You can also add red candy sprinkles if you like. To make it another flavor, try using orange jello instead, and top with mandarin orange slices, or candied orange slices. You can use lime jello, and top with candied lime peels! Use lemon jello and top with candied lemon peels! Use peach jello and top with canned peach slices! If there is a flavor of jello, you can change the flavor of this cake! Just add whatever fruit matches the jello to the top of the Cool Whip after chilling! And everyone loves this! Did you guess the Those Places site from yesterday's post? 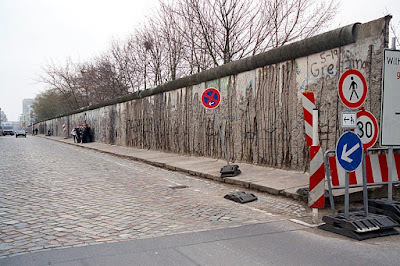 If you were in Germany prior to the Regan Administration, you would have seen this familiar site in (drum roll please), Berlin, Germany. You were actually looking at the Berlin Wall, which, of course, is no longer standing. Did you guess correctly? Let us know how you did! Do you recognize this place? If so, please let us know! We'll be posting the correct answer tomorrow below the regular blog post. Hint: Something in this picture is no longer there! Be sure to let us know where you think this is! That certain couple who were married 27 February 1998. Since my dear hubby was from Texas, I thought it appropriate to get married in a little church I knew with the name of "Lone Star Baptist Church". So, I called the minister up, about 45 days before the wedding, and asked if he would be available to marry us. He said he would be glad to. But when I told him our names, he asked if it was a joke! (My name was Cynthia Beane, and the grooms name was John Henry.) When I explained it was not a joke, he agreed to perform the ceremony, but I could tell he was a bit hesitant. One the day of the wedding, we all arrived at the church. We waited outside for nearly an hour, and the minister did not show up. Thankfully, my sister had a car phone. (Cell phones were still not popular then, although a few bigger cities had them.) So, hubby called the minister, who was very quick to head to the church. He later told me, he really did think I was joking, and had made up the names just to pull a prank on him! The veil with floral headpiece and flowers I carried were all handmade by my sister. The tea-length suit was purchased from a catalog for a hundred dollars. His suit was borrowed from my Dad. We later traveled to Monroe, Virginia and spent a week exploring the Natural Bridge Cavern, the Natural Bridge, and wax museum. And visited with the other two children who had not been able to get away from school for the wedding, who were also in Monroe. It wasn't a grand wedding. Very small and intimate. And it almost didn't happen, because of a minister who thought the Bride was joking! As we inch farther into 2017, we also inch closer to our 20th wedding anniversary. We couldn't be happier together as we begin a time of getting to be a little lazy (retirement) if we want. Well, he is retired. I on the other hand work a full time job as an insurance nurse/social worker, and own Mountain Genealogy. 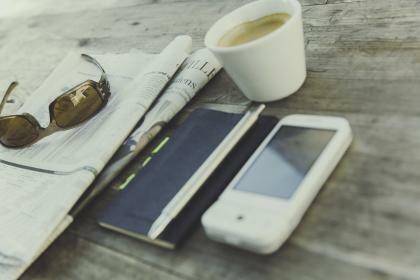 And am getting ready to begin writing an information blog for Baby Boomers. So, I am busier than ever in my life! But I love it! We are finally without any kids in the house! And we have just us. Which while it can leave some feeling the empty nest, thankfully, I didn't go through that. We simply did away with any bedrooms besides our own, and now have two offices. His. And hers. And we enjoy being able to leave and go when we want to! Are you married? Do you have funny stories to tell about your wedding? Did you get upset due to a blunder? Or did you roll with the punches? Be sure and let us know! 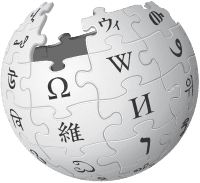 Have you ever utilized Wikipedia.org for researching an ancestor? You haven't? Well, why haven't you? I have used this site sparingly, until this year. The main reason I was reluctant to use it, is because anyone can add to, or detract from, information placed on the site. So, I have always looked at it with trepidation. And I still do! However, I have found information regarding several of my ancestor's on this site, and then due to information listed here I was able to verify it with either local records, or with subscription sites. I have found that this site gives me a great deal of information, and while I have been hesitant in the past, I am ready, now, to recommend it to you. I also found an uncle who ran for the US Senate and was able to provide proof that he did actually win the election. There was no one left that was living at the time, and the living brothers and sister were only able to tell me that they knew he was "in to politics". To actually find records that supported this, was a great find! And I did it all because of the little knowledge that Wikipedia gave me. I again remind you, if you use Wikipedia, please don't accept it as gospel! Instead, use that info as a jumping board to assist you getting into records you need to find to provide proof. The really fabulous thing about Wikipedia, is that most contributors have listed references, and their sources. So, finding the information won't be that hard to do. And once you have the source and information before you, then you can add it to your family tree program! Why not give it a try? I think you'll find it very helpful! William Bean was my gr-gr-grandfather. He was born 18 Sept. 1792 and died 01 Jan. 1864. He was born in Baltimore, MD and died in Potts Creek, near Waiteville, Monroe County, West Virginia. Do you remember Sunday with all day singing and dinner on the grounds? Plywood would be stretched across saw bucks, and white sheets draped over those for tablecloths. Every woman put her best foot forward. She'd fret as soon as plans were announced about what she was going to cook to bring for dinner. 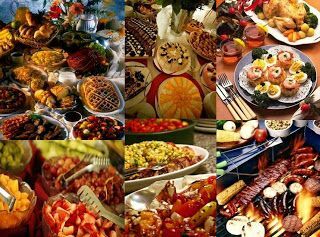 Women would get on the party line and share what they were thinking of bringing, because they didn't want to bring chicken if Sister So-and-So was bringing it! Why that wouldn't work! Unless Sister So-and-So was bringing fried chicken, so then the other could bring barbecued chicken! And it was okay to bring extra macaroni or potater salad, cuz well, you can never have too much potater salad! Kind of reminds you of Grandpa Jones on Hee-Haw as he'd tell you what was for dinner, as he looked through that paneless window frame. Doesn't it? No soda pop back then. But there was Kool-Aid and iced tea by the gallons. Literally by the gallons! Mom's would save those big one gallon pickle jars and make iced tea in them. Perfect with their screw top lids, cause you could transport it to church without ever spilling a drop! 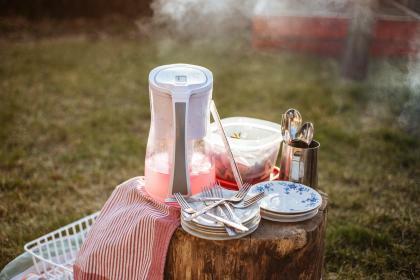 On occasion, if it wasn't too hot, some of the ladies brought pitcher's of fresh buttermilk! What you mean you ain't had buttermilk and cornbread together? Better'n any dessert you can buy! Those make-shift tables literally groaned under the weight of all the food, as they sat beneath the big trees behind the church. No tables to sit at. Families brought quilts, and spread them out in the shade of the big old oak trees, and children would scamper about and play, stop long enough to plop down and take a bite of something, to scamper away to play some more. No need to keep a close eye on the youngin's. Every Mama there watched out for everybody else's youngin'. It was just the way it was back then. And after the meal was over, and women would take their aprons off, and lean back on their palms on the quilt, Daddy's would unbutton the waist-band of their Sunday trousers, and belch quietly. And the preacher would get up, and say he was only going to say a few words, cause he wanted to let the singers have their day. But even with his good intentions, a little preaching slipped through anyways. And then, as everyone relaxed, a group of singers would get up and stand on a makeshift stage. Banjo's, and guitars, and mandolins, and squeeze boxes, and zither's would come out. Occasionally there's even be a thimble with a washboard. Sometimes a big ol' bass. And the music would fill the hills and hollers. And for just a few hours, you thought you'd done died and gone to heaven, cause even the angels couldn't have done a better job! And every now and then, Sister So-and-So would get up, and the Spirit would move and she'd flat foot for the Lord! Yes sir, there'd be dancing for the Lord! And somebody would let a yell, "Glory! Glory! Glory!" And pretty soon, even the littlest youngin' would holler out "Hallelujah! Praise the Lord!" Let's have a little of that singing now! Sibling Saturday - Everyone Said They Must Be Twins! Everyone who saw the two women were astounded that they weren't twins. 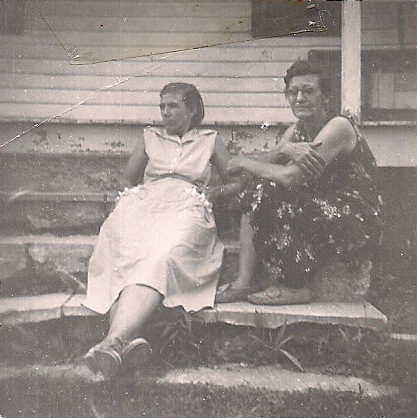 Granny (Irene) told me that they had always looked alike, even though Granny was 3 years older than Lorene. Why even their names made them sound like twins! Irene and Lorene! How cute was that! The two women could work as hard as any man, relax when there was a spare moment, and get up and work some more. And that was all before breakfast! Seriously, if most women said there was a job they'd leave for their husbands to do, Irene and Lorene went the extra mile to do it themselves! Hardy as mule, and about as stubborn as one as well! Not particularly tall women, about 5'5" each, and weighing any where from 125 to 200 pounds, at any given time in their lives! Neither one was ever fat, but both got to be chunky a time or two. They didn't diet. They simply worked it off. A little hard work went a long ways for both of them. Granny loved her flower gardens. And Aunt Lorene (my great-aunt) loved her vegetable garden. Both women quilted. And Granny crocheted like nobody I ever saw. Well, except her daughter, my Mom. They could both simply look at something crocheted, and toss it back at you and say, "I can make that with no problem!" Both could sew the same way. Never used a pattern for anything. Just imagined it in their heads, and suddenly there was the completed project! Granny might not have been a very big woman, but when she got mad? Oooooh boy! Look out! She was a woman who could slam the door on every cupboard in the house! And when she got done with that? Well, she'd start on the house doors! I once saw her walk through my huge kitchen just so she could slam the cupboard doors and both outside doors, one when she came in, and one when she went back out! And slamming doors wasn't all she was good at! She liked to stomp when she was mad! She'd sound like a great big man with work boots on sometimes! My poor Mom did everything she could to make Granny proud of her. And Mom was so hurt, because Granny never told her, "I love you", or "Thank you", or "I'm proud of you". I don't know why. But I was taking care of Granny the day she passed away. And when the minister came in to visit with her, he asked her if she had any regrets. She said, "Yes, I do. When I die, will you let Lois know how proud of her I am?" And he promised to. But, he wasn't expecting Granny to pass so suddenly! Before he had time to get back home that day, Granny was gone. And I guess he forgot about his promise to her. One day, several years later, Mom looked at me and tears welled in her eyes. She said, "You know, I don't know if my Mom really cared about me or not." At this point in my Mom's life, she'd had a brain aneurysm, and the repair had caused irreparable damage. On a good day, she was about like a 10 year old, on a bad day? More like a 2 year old! On this day, it was a good day. I took her hand in mine, and told her of Granny making the pastor promise to speak with her. She was upset, because he never had. And so I explained he probably forgot because Granny wasn't expected to go that day! But I had heard it. And so I gave her that little solace that I could. Too many people leave so much unsaid in this life. Never saying what they feel down deep inside. Words cause hurt. And hurt can sometimes never be released. Granny is gone now. And Mom is gone. The two never really knew how the other felt about them. Don't leave it up to someone else to tell your daughter, or son, or brother, or sister, or Mom, or Dad, how you really feel about them! If you're proud, then say it to them! If you feel great love, or admiration, then let them know! Life is too short to leave it up to someone else, or leave it till it's too late to say it! I have no doubt Granny, and Aunt Lorene, and my precious Mom are celebrating this evening in Heaven. And that any doubts Mom had about her mother loving her are forgotten. And that's a wonderful thing. But just once, I wish she'd told Mom how she felt. So speak up. Love your family now while you can. Life is simply too short, and then it's gone! And Aunt Lorene, well, I just threw her in there today, cause I happen to like this photo of these two siblings! Weren't they pretty women? When I think of Granny, this is how I think of her. As I knew her in the 60's. The woman who didn't hug or squidge me. But she always had some cookies and milk on hand! And maybe that was her way of saying how she felt! Have a fantabulous day everyone! Have you considered the power of Pinterest? I am totally addicted to the web site! I get on it, and will sometimes spend one, two, or even three hours and not even realize I've been there that long! It's much more addicting than Facebook, or games! My poor iPhone stays in my hand and I am there! 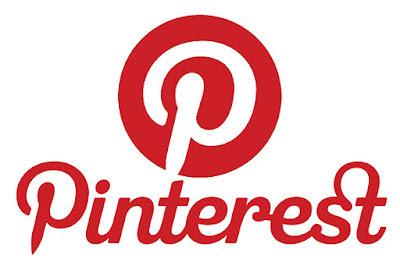 But, did you know that many genealogy bloggers are on Pinterest? I had been using Pinterest for quite some time, filling up my little Boards, until one day I accidentally came across a genealogy site! I am in seventh heaven my friends! Literally! But on Pinterest, I can find, not only some great ideas about research, and writing, and digital photography, and saving those photographs, and census records, and forms to help me get everything organized, and great organization tips, but there's more! Did you know you can search for you the surname you're researching? Some families have linked their family trees to Pinterest! How awesome is that! Best of all, it's another FREE site to go looking for clues! I use all kinds of resources as I'm researching. Both traditional, from brick and mortar institutions, to books, and web sites. But one thing I won't do, is take any one else's family tree and tack it onto mine. Nope. I've got to do the research and prove it first. (Only, I actually do the polar opposite! I try to disprove the connection first. Once I can't disprove it, THEN I attempt to find proof that it fits.) Remember, just because someone says that So and So is related to you, doesn't mean it's the truth! Find the proof out there, and document, document, document! Write down those sources, and citations! But, I digress! Back to Pinterest! I absolutely love the site. It's given me some help in my family research. But what it's really given me are ideas. I use the site as a kind of sounding board. It helps to have a background in research, but if you will open your mind, and simply let ideas play one off of another, you'd be surprised to find out just how far you can go! And that's where Pinterest really shines! You type in what you're searching for, and BAM! One has only to start looking through the thousands of pins that will come up from your search, and before you know it....2, 3, or even 4 hours have flown by! Some tips on using this site? Keep a notepad handy! You'll want to take notes. And believe me, if you see something you want to read more in depth on, do it right then, because you won't remember how to navigate back to it! And don't think, "I'll just pin that and it will be on my board and I can come back to it later! Cause, darling, later you won't be able to find it in all of the pins you save! 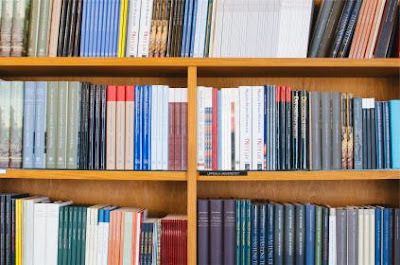 So, when you see something you want to read, do it right then! I use my notepad for a jumping off point. I can always get back to an article I've pinned, because I mark down the date I've saved it. Sometimes, however, by making notes when I read the article I've pinned, I have enough info that I don't need to reference back to it. So, I am here today to officially encourage you to head on over to Pinterest, and find you some fun! Just about anything under the sun can be found there! It's like an open air market. Just start browsing honey. You'll never walk away empty handed! This is the old Banet Farm, located on Floyd's Knobs, Indiana. 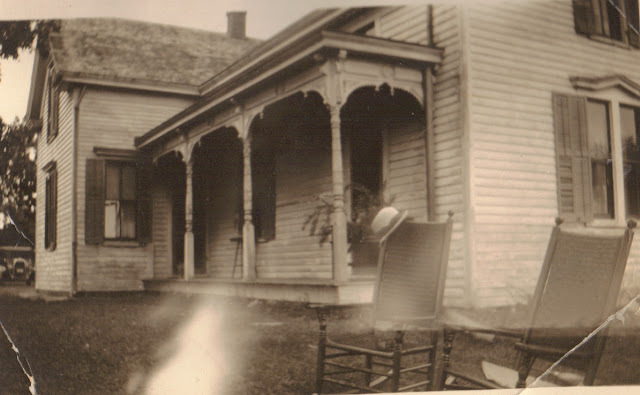 This is the home my Great Great Great Grandparents, set about raising their children. They were Etienne Banet and Francois Bidaine Banet. The couple had 12 children. Seven of these children were born in France, prior to the immigration to America. The last 5 were born in Indiana, and were much younger than the older 7. The couple had a son Isadore (born in France) who married Rosalie Sprigler. 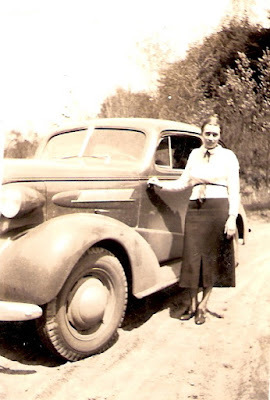 Irene(my grandmother) was the 7th of 8 children born to Francis Isidore Banet (Isidore and Rosalie's son) and his wife, Adeline Josephine Eve. Adeline was the daughter of Joseph Eve, and Annette DuBois. She was the youngest of 6 children. Her mother, Annette, died giving birth to her, in 1867. Adeline's Aunt Adaline DuBois, Annette's younger sister came to care for her sister's children. In 1871, when Adaline DuBois finally turned 21, Joseph married Adaline. She had already been in the home taking care of her sister's children since the time of her sister's death. Adaline DuBoise Eve, and Joseph, went on to have another 7 children, which gave Joseph a total of 13 children. Grandmother told me about growing up with her family in the Banet home. It was a fairly relaxed family for the times. Both sides of her family, the Eve's and the Banet's had immigrated from France (the Alsace region), and knew one another in France. Sadly, the elder Banet's, my great-great-great-grandparent's, left France and came to the United States. They, of course, brought their children with them. However, after a few years, they traveled back to France, to settle property claims and get their finances settled. They left the children in Indiana with family members. 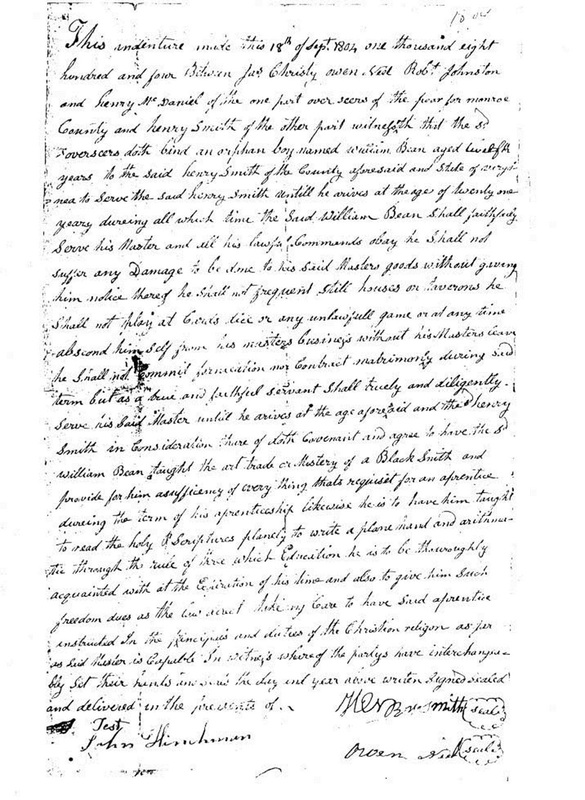 When they returned to Indiana, the now nearly adult children became enraged that their younger siblings were to be given equal shares in the family property that they (the older children) had worked so hard to preserve for their. And that is how their Will was settled when the parents passed. The younger children obtaining an equal portion of the rather large property. The family split. The older children moving into town, while the younger kept the farm and property on the Knobs. Such a pretty little farm house for such a nasty, nasty split in family. Uh, but then, am I related or not? Granny (as we called my Grandmother) would tell me of course I am not. Ahhh, but we know better, don't we! Do you have a history of a family split in your ancestry? Life is so fleeting, it is so sad to believe family could be that way to one another. How could they have reached an amical settlement in the best way? What would you have done? Would you have thrown it all away to just make a point? Or would you have accepted your portion, and been happy to have received whatever it was? 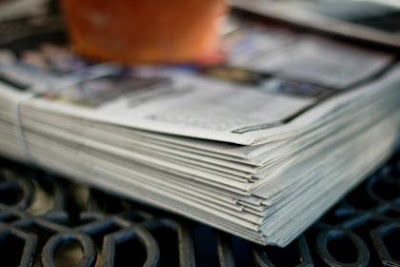 Tuesday's Tips - Using A Newspaper to Find Your Ancestor! Newspapers are a great source for finding out about your ancestors. Many go back to the 18th Century. Some even farther! So what kind of information can you find newspapers local for your ancestor? Obituaries are a great source of information! 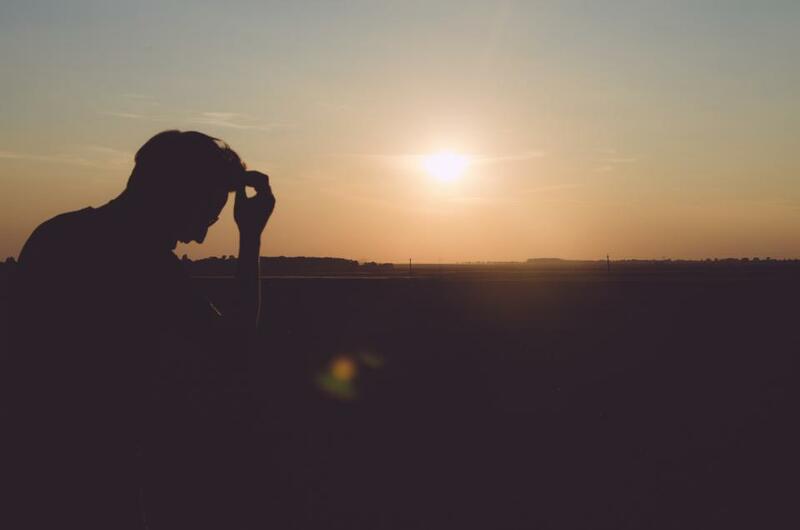 Here you are likely to find the names of parents, siblings, spouse, children (and sometimes the children's spouse), and in some obituaries you may find the names of grandchildren, or even great grandchildren! You may find their birth date and birth place. Sometimes the date of death is in the obituary, but more likely will be the day. 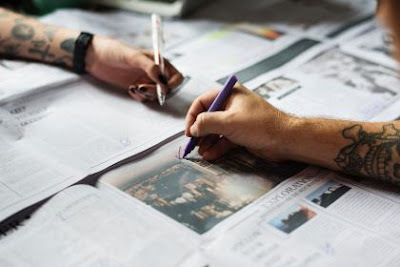 To determine the date, be sure to check the date of that particular edition of the paper, and then using Google, search for what day of the week that was on. With that information you can then extrapolate the date of the day your ancestor died on. However, I do give you this one word of advice, extrapolating a date, and the exact date, may not be without error! So until you can locate an actual record with that ancestor's information, I would preface the date I extrapolated with either the "abt." feature of your genealogy program, or the "c." feature. This lets everyone know that the particular date you have listed may not be the exact date. Later, if you obtain a death record, you can replace the preface if you need to, or dismiss it. 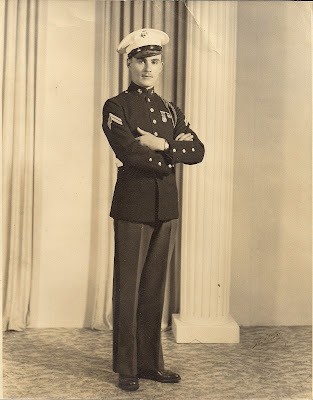 You might, also, find your ancestors occupation and place of employment listed, educational accomplishments, military service, or affiliations. Many newspapers will list the births of new babies in the community. Again, I would preface with either the "abt." or "c." when entering a date here, until a legal document is located. 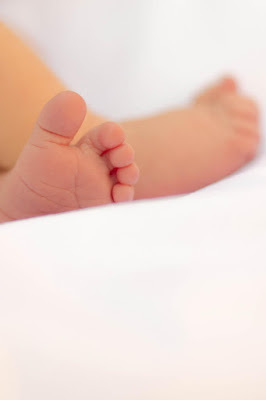 In this feature you will find the infant's full name, the names of the parents, sometimes listing the mother's maiden name, and occasionally one or both parents occupation's. Sometimes grandparents or siblings are also included. And residence is sometimes listed as well. Here you might have an engagement announcement prior to the actual wedding. If you don't find a wedding announcement in the coming papers, recheck and see if this couple actually followed through and got married. Occasionally one, or both, will back out of an engagement, although, traditionally, this is less likely the farther back in history we go. Once you find the marriage announcement, this record usually lists both the full name of the Bride and of the Groom. Traditionally it will list the parents names, the best man, and the maid of honor. And on some occasions, the minister or clergy who performed the ceremony; soloist, or musician(s). Description of the wedding gown, and a photo of either the Bride, or both the Bride and Groom. Occupation(s) may also be listed. Honeymoon destinations, and place of residence after the honeymoon is also traditionally listed. Many types of legal records may be listed in newspapers. 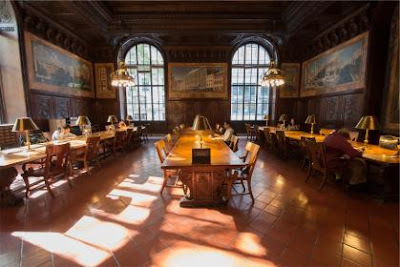 You may find probate records, court case records, bankruptcies, adoptions, and name change records are but a few. You may also find names of relatives, and places of residence in these records. These are more prevalent under the society columns, but they may be found elsewhere, as well. Family reunions are often photographed and posted in the paper, along with a list of those in the photograph. Birthday celebrations, especially those marking a milestone (i.e. sweet 16, 100 years, etc.) Heroic acts might be found in photographs. Horrific accidents and murders are often found in the paper as well. These are but a few things you may uncover in newspaper searches. Also, if you know the address of where your ancestor lived, and say something happened that hit the paper on his block, or next door, be sure to record that information! You never know when that might be useful! Also, be sure to do a proper citation for your find. List the name of the paper, the town and state. List the editor's name, and the author's name for the article, if provided. List the day and date the paper was distributed. List the page number, the column, and the paragraph where the article can be found. For instance: Src: The Monroe Watchman, Tuesday, March 1, 1892, C. Mohler Editor; pg 4, Obituaries, col. 2, para. 3, John Doe, author unknown. This information as citation, allows anyone to go directly to that source and find the article should they want, or need, to. Take the time to search the newspapers for your ancestors! You may be surprised at just what you might find! "Dad, can we still get over into the old Bean cemetery? ", I asked him my favorite man in the whole wide world. "Yes, they can't stop us from going into the cemetery," he answered. "But, they won't let us put up a fence around it to protect it, or even put a sign up at the road so everyone will know where it's at," he added. I went on to remark that in another 20-30 years, no one will be alive to even know where it is, unless one of the young generation picks up the mantle from me before I die. Dad's turns 80 this year. And I'm sniffing the heels of the big "6-0". So, 30 years from now, there's likely to be no one left to even know the cemetery is a cemetery. My last visit there was probably about 8 years ago, when some "cousins" (2nd cousins 4 times removed) came to our reunion. Dad and I spent the day taking them around Monroe County to the various places we thought they would enjoy seeing that the family had been involved in. 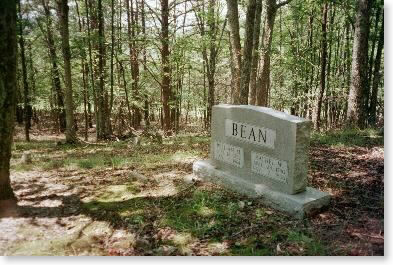 One was where our original Bean family member was buried. The cemetery is little more than depressions in the ground, with broken slabs and rocks marking the graves. Trees have sprouted through the center of some of the graves. Great huge trees. And in some places you can literally fall into a grave if you are not careful. (Just ask my Uncle Jack, who stepped onto a mossy area, and found himself hip deep in a rotted wooden coffin. A few leg bones were all that was left of what had been a family member. The cemetery dates back at least to 1856, and there may have been a grave or two prior to that. No one knows for sure. The broken slabs and rocks that mark one end of the graves (about 31 can be clearly defined) have only one stone with any carving on it. The carved letter "C" can be found on one. We know that the family was buried inside of what once had been a fenced cemetery. While everyone had told me, prior to my first visit, that you could not know where that was, and no one living knew where the fence had been, I proved them wrong. For I found the rotted, wooden fence posts that marked the cemetery perimeter, and in places, the fence, still stapled with fence staples, to some of the huge trees. I was able to walk the cemetery perimeter. Family legend says that the family members were buried inside that fence perimeter. And that slaves had been buried (all except for two) just on the outside of the fence. We can easily determine 13 of the interior graves. We just don't know which of the 13 known people buried there, are in the marked graves. Neither do we know which slaves were buried on the exterior surroundings of the cemetery. Again, we know of a finite number. "Dad, as far as I can tell, the first grave in the cemetery is Aunt Nancy's," I said. Dad, is the living history of our family. You see, his father, my grandfather, was born in 1866. No, you read that right. My Dad's father, my grandfather, was born in 1866. The year after the Civil War had ended. Quick run down. 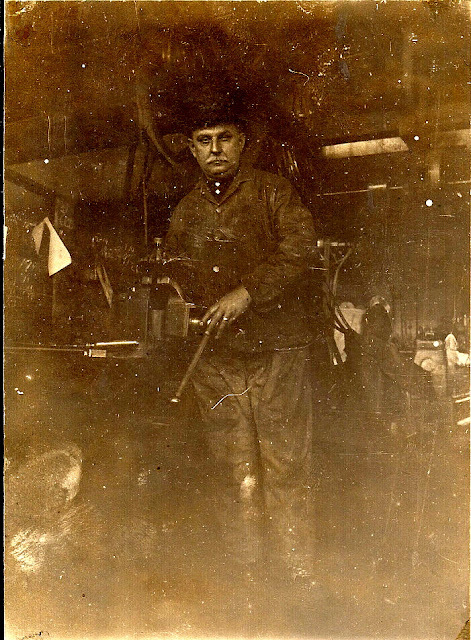 Grandpa was born in December of 1866. Twenty months after the Civil War had come to a conclusion. He was born in Cincinnati, Ohio, where his Mother (my great-grandmother) had fled to with four of her very small children in an oxen covered wagon, to be with her spouse, my great-grandfather. (That's a story for another day, however.) Grandpa didn't marry the first time until toward the end of the 19th century, when he was nearly 30. Unfortunately, and rather sadly, this first wife died with tuberculosis, leave Grandpa with 2 small children, and one very newborn child. 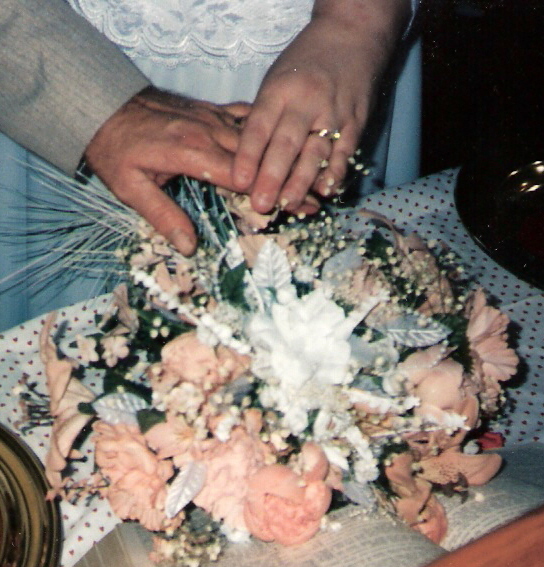 A very short time later, Grandpa married again. This time, the two were married nearly 20 years, when this wife gave birth to her 9th child with him. She had toxemia, which is a condition not uncommon today with women who do note receive pre-natal care. This was 1929. And again, Grandpa was left with very young children, and a newborn baby. The children were now 12 in number (that number included 3 children who died due to tuberculosis and whooping cough). Grandpa was now widowed twice. And in 1935, he married for the last time. This time to my Grandmother, who was almost 40 (b.1897). In 1937 she gave birth to a baby boy. My Dad. Two years later to another baby boy, when she was 41, and Grandpa was 73. And 4 years later, to another baby boy (Grandma was 46, and Grandpa was 87 on the birth of the youngest!) All in all, Grandpa fathered 15 children. He outlived 4 of his children, and two of his wives. So, while my Dad's formative years were spent with an aging father, he was the absorbent sponge, who sat at his father's knee, and listened to the phantasmagorical stories the elderly man had to tell of family history. And for the most part, Dad has been spot on with documentation I have been able to locate on the family! "No, Nancy's not buried in the Bean cemetery! ", he corrected me. "She's buried over at Hollywood, in the old Bruffey Memorial Cemetery. Remember? The cemetery and church are named after her family, the Bruffey's!" he corrected. "No, honey, remember, she was the one who died from hemorrhoids? Dad always said he really loved Aunt Nancy. And she suffered horrible before she died!" "Dad, your Dad couldn't have known Nancy! Nancy died in 1856, ten years before your Dad was even born!" "No, honey! I know I'm right about this! ", he insisted. Since I was on the phone with him, I just trotted into my little office, and fired up the old computer. "Hang on Dad," I said, "I'm going to look it up on the computer." I quickly went to Aunt Nancy's information. Dad waited patiently while my computer booted up, and I went into my FTM program. "Here she is, Daddy! She was born either 1815 or 1816 (the year is not specific in the birth register). And she died on October 11th, 1856," I said, rather proudly that for once I was able to prove him wrong. "And she's buried in the Bean cemetery. She died from a 'fever'," I said, "and your great-grandma died on Novembr 7th, just a few weeks after her. Her death is listed as a stroke, but I always wondered if she got whatever 'fever' Nancy had and died from complications of that." "Well, I don't know where you got that information, Sissy, (my Dad uses the term Sissy for myself and my younger sister, interchangeably), but she's buried over at Hollywood. That much I know for a fact. I've seen her grave there myself." "Dad, are we talking about the same Nancy?" I queried, suddenly the distinction hitting me. "Well, now, you know, you might have something there. I think I'm talking about my Grandma's sister, aren't I? And you're talking about my Grandpa's sister! Well, ya know, I reckon we were both right!" he exclaimed. Both of us relieved we didn't have to say, "I told you so!" to the other. Or even more relieved the dreaded, "I guess you were right and I was wrong!" didn't have to be said! "I was talking about Nancy Perkins, wasn't I?" Dad remarked. "And I was talking about Nancy Bean," I said. 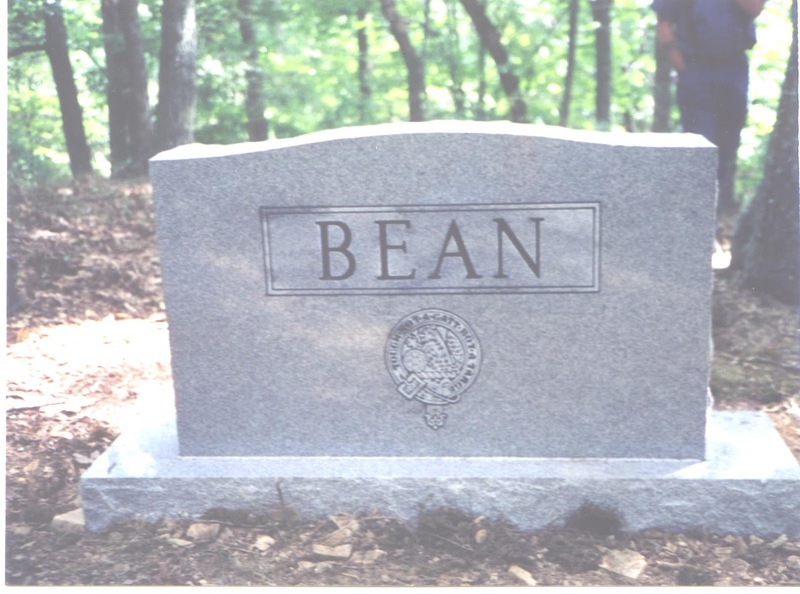 "Well, yeah, I reckon Nancy Bean is the earliest known grave we know of in the Bean Cemetery," he concluded. "And my Grandma would've been the next one to be buried in the cemetery." "Say, you remember that 2 of the slaves were buried in the front yard of the old house, don't you?" he asked. "Yes, I do, Dad," I said. "But neither you, nor I, are gonna tell the owners where that is, are we?" I asked. (Well, they know now, as I've written about it in the family newsletter several times. Their graves, or rather, grave, was in the south-eastern corner of the front yard, beneath what had become a HUGE Rose of Sharon shrub. My gr-gr-grandmother had planted the shrub so that no one would ever disturb their remains. The two slaves were elderly, and married to one another. One cold winter, in 1855, the two got pneumonia, and died within hours of one another. The ground being frozen, the only place soft enough to dig up was in the south-eastern corner of the front yard. A single grave, and the couple wrapped in a couple of quilts, together.) So gr-gr-grandma had allowed the men to bury the couple there, with the understanding that come spring they would be moved over to the cemetery, which is on a knoll across what had once been a farmed field, and overlooking the house gr-gr-grandpa had built for his wife. Well, spring came. The ground thawed. And planting time came upon the farm. And everyone was busy with crops and newborn farm animals. And before you knew it, summer was upon them. 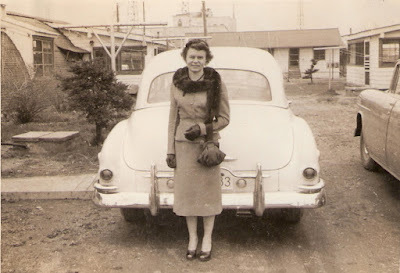 Gr-gr-grandma was a shrewd woman. She knew the menfolk wouldn't get the grave moved. So, to prevent anyone in the future from accidentally digging up the grave, she planted a new Rose-of-Sharon shrub on the top of the grave. And about ten years or so ago, the owners of the place cut down the shrub, and made a wide, modern drive into the property. And it passes directly over the place where the slave couple were buried. Their bones long ago turning to dust, there wasn't anything to find from the last 160 years, I am sure. So they didn't know that they placed a drive over a double grave. And although I've seen the owners a few times, I've never had the heart to say anything to them. And so, I answered Dad, "Yes, I remember Dad!" And so, Nancy Bean, born in either 1815 or 1816, died 11 October 1856, and was, what we believe, the first person buried in the cemetery. Her mother followed just 3 weeks later. On September 18, 2000, 208 years after the birth of my gr-gr-grandfather, on his birthdate, a group of men in our family gathered together at the cemetery and placed a modern tombstone commemorating my gr-gr-grandparents. The front of the stone, with my gr-gr-grandparents names, and birth and death dates. The back of the stone, commemorating our tie to the Clan MacBean. We are proud to be included in the Clan's registry, although there has never been any proof that we are connected. Unfortunately, we are what is called an "orphan line", meaning, that no one knows how we got the surname BEAN. And even DNA has not tied to us any other Bean line (or its many variants of spelling!). But the Clan MacBean has generously "adopted" us And for that we are grateful. It gives us a sense of belonging. However, this Scot clan, may not be even a far reaching ancestral line, as we once thought. It seems the Irish genes are way more definitive than the Scot genes. And before the Scot genes, a close second to the Irish genes are the English ones! Nancy Morgan Bruffey - nee Perkins (1815-1892), my gr-grandmother's sister, (Margaret Smith Bean - nee Perkins), is buried at what is now called the Hollywood Cemetery in Hollywood, Monroe County, WV. She was married to George Washington Bruffey (b. 1815 in Virginia). And she did, indeed die from a severe infection of hemorrhoids. (I can only imagine the pain that must have been!) The cemetery was, indeed, once called the Bruffey Cemetery. The Bruffey Memorial Church continues to operate there. While I haven't been there to document stones, I am unable to tell whether she has a marked grave or not. Dad says he was there once with his Dad, when he was a young boy, and used to know just which grave was hers. He thinks it is toward the top of the hill. Perhaps I will get over there soon, and document the cemetery. Don't give up when you and someone else are certain you are correct about a bit of family legend. As seen from this, you could BOTH actually be correct! Make sure you can argue your stance before you wade into that pool, as some people can get very defensive regarding the family tree! ("I know what I know! So stop being a blamed fool and listen to me!") Be able to back up your argument! And be willing to listen to what the other person has to say. Again, as seen from our little tete a tete, you could actually both be correct! Just talking about two different individuals! Have you ever knocked noggins with someone because you knew your recollections were correct, and the other persons weren't? If so, tell us how you settled it! We'd love to hear from you! How many of you grew up in a little country church? I bet those of you who did will remember those warm days of summer would the church would have all day singing and dinner on the grounds! There was every kind of homemade dish imaginable to choose from! The ladies of the church always showed off their best cooking for these days! And desserts? Oooooo-weeeeeee! Talk about some good eating! (That was back before we needed to count calories, or carb's or had any idea that sugar was so toxic to our systems!) By the end of the day, all the men were unbuttoning that button on their waist-bands, and women were loosening up their apron strings! The children would be full after eating, and many a baby fell (and even older kids too) fell asleep on a blanket on the ground. Folks would gather round, and the singing would begin, and go all day, and sometimes late into the evening. No one would want that magical time to end! Leave it on, cause there's 17 songs on this playlist! Enjoy! Ya'all have a real nice evening, and God bless you ya'all! A long while back, there was a brother and sister, named William and Eleanor Beane. They grew up and met and married their prospective spouses. Lo and behold, the brother married a woman named Lillian, and the sister married a man named Don. And don't you know, Lillian and Don were brother and sister as well! Their last name was Ward. Their children have a tremendous amount of fun, still today, about being "double first cousins". And for all the laughter and fun it brought, here are those brothers and sisters for your enjoyment. *****HAPPY BIRTHDAY TO MY "OTHER" MOMMY, TALMA! LOVE YOU SO MUCH! HERE'S WISHING YOU THE BEST BIFRTHDAY EVER! Okay, so here is another connection (albeit distant) that I have to thank the We're Related phone app for. I have a blast with the app. I first downloaded for pure fun. But the one thing I wasn't expecting was that amongst all of the distant celebrity/political/famous "cousins" was that where the two lines converge, has allowed me to take my ancestry back, in some cases, ten or twenty generations! (Well, let's just say that the lines and documentation leading to and from the English throne are pretty easily discovered.) Still, I had no idea how many times I would ooh, and ahh, as I was able to prove the next ancestor back. And this has all been in thanks to the little app I downloaded on my iPhone. In all I have 191 people with whom the app tells me I am related. Out of those, I've probably worked my way through around 16 or 17. I started doing the research to "disprove" how accurate the app really is. But what I discovered was that, in about 90% of those I've gone through finding evidence of relationship, the information has been totally spot on! 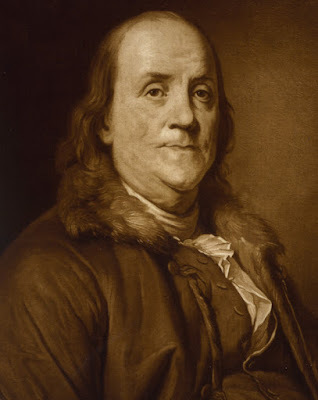 And so, for a good time at a party, I can blurt out, as though bragging, that someone like, for instance, Benjamin Franklin and I are related! (Well, we've all got to have some bragging rights in our family tree, correct? I have plenty to brag about without ever bringing up a famous name!) And isn't it fun to see how some people react when you can tell them that you're 4th cousins, 7 times removed with Benjamin Franklin? Okay, so in the last 50 years or so, some rather scandalous information regarding old Ben has become public. Doesn't tarnish his accomplishments any, does it? And he did have a few more accomplishments than just tying that silly key to the kite string you know! So, how are old Ben and I related? And there you have it. My relationship to Benjamin Franklin. Fun for parties, and bragging rights. But using the app has lead me to find my ancestors by trying to disprove the line from me to the common ancestor. And for that, I cannot thank Ancestry enough. Sometimes, it's simply given me a name, and I was able to go on from there. And like I said, about 10% of the trees sent have been totally wrong. I've barely made a dent in the list so far. So, I am super stoked about working on even more! Were you able to figure out where this place was? This photo is one I took at the Bluestone Dam, in Hinton, WV. I took the photo in 2015. I was standing on a fishing platform that is built conveniently near the dam itself, where I am told there have been some monster sized trout and catfish pulled from. This crosses the New River. Behind the Dam is Bluestone State Park, and it's many camping, hiking, fishing, and swimming areas. Great fun! My children used to fish from the primitive campgrounds, and we would fill up our cooler with fish they caught. Then cook them over an open campfire in the evening. We spent some wonderful times camping there! I highly recommend the area for a stop if you're coming through West Virginia. Just a few miles east of Beckley, and west of Lewisburg, just 10-miles off of I-64, there are many wonderful places to sight-see! Can you tell me where this dam is located? 1) This is located in West Virginia. 2) The Greenbrier River empties into this river. 3) The dam is located in a railway town. 4) Highways 3 and 20 converge here. 5) A large State Park is nearby. Okay, folks, that's it. See if you can find the name of this dam, and the river it crosses! Be sure to check back tomorrow for the answer!